Chris Moyses is the current Manager at Sincil Bank – Chris replaced Gary Simpson in November. This is his first experience at managing at this level after working with the Imps Youth Academy and then as first team coach. The trusty old A1 is the route for this one - remember the A1 is your friend! From the A1 take the A46 signposted Lincoln and after approx. 10 miles look out for a roundabout and take the A1434 signposted Lincoln South (Newark Road). From this point simply follow the signs for Lincoln City Centre/Worksop A57 (the road is re labelled the B1190) and you will be directed to the ground which is situated in Sincil Bank. There is limited parking at the ground, which is taken quite early, but local streets are pretty unrestricted. When travelling in on the A1434, and in Lincoln itself, look out for the available parking on South Common on your right (where the road junctions the A15 from the left). It resembles a big park and there is a nominal charge. Allow yourself a good 10-15 minute walk to the ground from here but it will allow a more straightforward access to the main outward arterial road when on the way home. The supporters coach will leave the Hive at 10am with earlier pick up points at Potters Bar Station, Barnet (3 separate places), Whetstone and Edgware starting at 9am. The price is £28.00 return. Lincoln Central Station is a 15-20 minute walk from the ground. Turn left out of the station and left again into the High Street. Stay on the High Street over the level crossing where you will eventually find Scorer Street. The first right off Scorer Street is Sincil Bank. A taxi will cost around £5.50 and they are plentiful directly outside the station. The Bus Station can be found opposite the Grand Hotel about 100 yards from the station. From here most buses run along the high Street towards the ground. My ever reliable sources tell me that the best pubs close to the ground are all on the High Street just 5-10 minutes walk away. The Golden Eagle listed by CAMRA and on the junction of Spencer Street is great for real ales and bar grub. The Wetherspoons outlet The Ritz is a cracker and can be found at 143 High Street while a few doors down the Anchor is a well worth a drop in. The Pyewipe backs onto the Fossdyke Navigation Canal. I have stopped here on four occasions now for a pre match session and it gets better every time. The menu is extensive and very inexpensive and the pub is in a lovely setting. No chicken nuggets or scampi in a basket, or soup in a basket for that matter here folks – Example Home made Steak and Kidney Pudding with mashed potato, red wine gravy and vegetables followed by Sticky Toffee Pudding and Vanilla Custard for a shade over 12 notes – considering the quality and the surroundings yeah that will do nicely. The Trust Suite is the new name for the old Centre Spot social club. Visiting fans are made welcome before and after the game. In the past from personal experiences and reports from fans that the social facilities at Sincil Bank are some of the friendliest around and the food inside is legendary. The Hot Pork Roll (with stuffing and apple sauce optional) should not be missed. It can be found under the South Park Stand – the Trust Suite that is not the “Hot Pork Roll” you understand! The 1,400 capacity main or Lincolnshire Echo stand is both tall and narrow and only fills about half of the touchline. It was originally planned to utilise the whole of one side but Lincoln were a non-league club when it was constructed in 1987 and finances didn’t allow. If you look closely you will see its design, exposed steelwork and open screen ends, which allows for extension. A well-known west country football ground site likened it to a scaffolding tower – a bit harsh! Immediately to its left is the small token Family Stand. Opposite is the Co-op Community Stand constructed in 1995 to replace the old open Sincil Bank Terrace. It is a tall single tier of covered seating. It can hold up to 5,500 in total. To the right is the Stacy-West Stand, named in memory of two Lincoln fans who perished in the Valley Parade Bradford fire in 1985, which is a bank of covered terracing which was converted to seating in 1999. Finally to the left is the Bridge McFarland Stand built in 1992. It has six rows of covered turquoise seats with 17 executive boxes on top and will be our home for the afternoon. All this gives Sincil Bank a healthy 11,000 plus capacity. Our last visit in April 2014 finished 3-3 with goals from Abdulla (pen), Allen and Hyde. At Underhill in October 2000 sensationally the Bees came from 0-3 down to win 4-3! 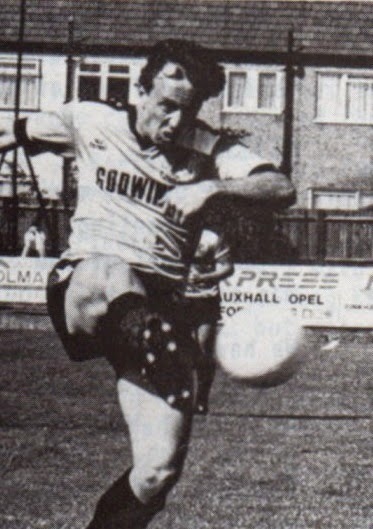 Stuart “The Heed” Niven, Warren Goodhind, Tony Richards and Omar Riza scored the goals. 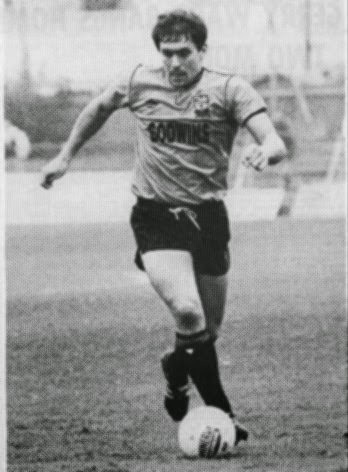 Three other games come immediately to mind - the two infamous meetings in the 1987/8 Conference season when the Bees won 4-2 at Underhill (Dave Sansom (3) and Nicky Evans) and then lost the return 1-2 in one of the most officially biased and intimidating atmospheres I have ever had the misfortune to endure. 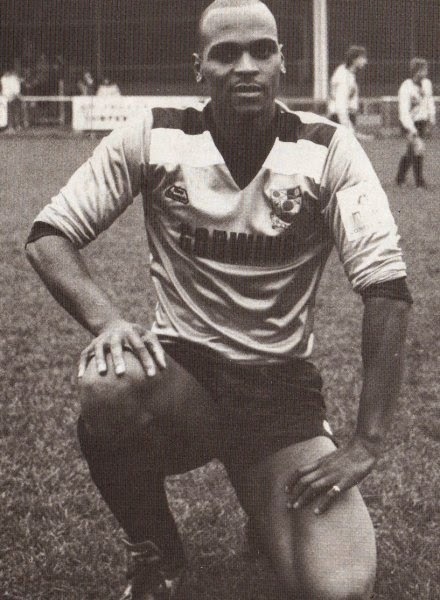 Noel Ashford and Herbie Smith were dismissed for the Bees on an evening that featured a very rare goal from Skipper Kevin Millett. 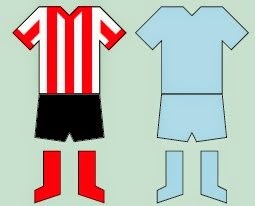 The third game is the complete demolition of an Imps side at Sincil Bank in September 1991. The 6 goals, without a reply, came from an own goal, Gary Bull (2), Harry Willis, Frank Murphy and Nicky Evans - marvellous! Actors John Hurt and Jim Broadbent both hail from these parts while Poet Laureate Alfred Tennyson was born just up the road in Somersby. On the sporting front ex Leeds and Nottm Forest striker Lee Chapman was born in Lincoln while local kids are careful not to slog their cricket ball into local resident Australian Umpire Darrell Hair’s garden just in case something happens to the ball! My favourite dry biscuit has always been the Lincoln Biscuit, with its dotted concentric circle like topping. You know the one from the Shortcake family of biscuits. Do you “dunk” yours in your tea? I have never been able to bring myself to do that! By the way there is no evidence whatsoever that these biscuits originate from this part of the world but it would have been a good story. I could go on about Lincolnshire Plum Bread or Sausages but this is reputedly a football-based guide for heaven sake. See you there!